Luxury corner lot property located in a cul-de-sac! 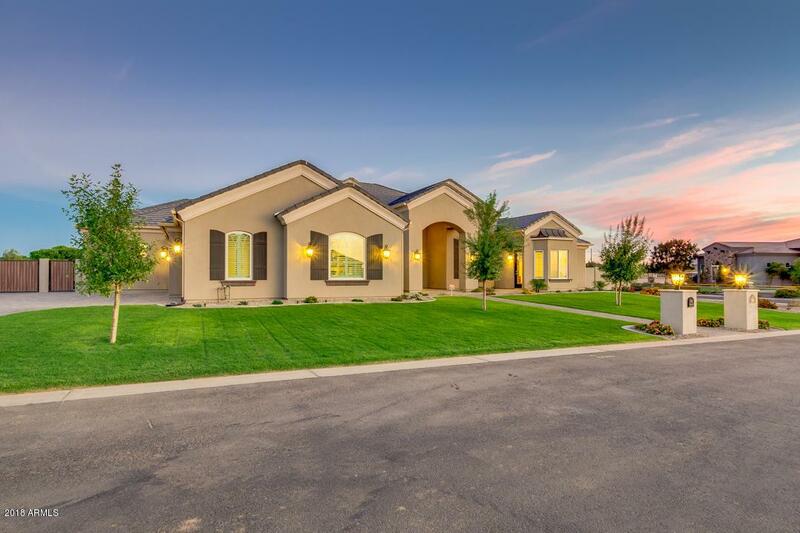 This home features a custom iron/glass door, grassy front yard, 3 car garage, and RV gate. 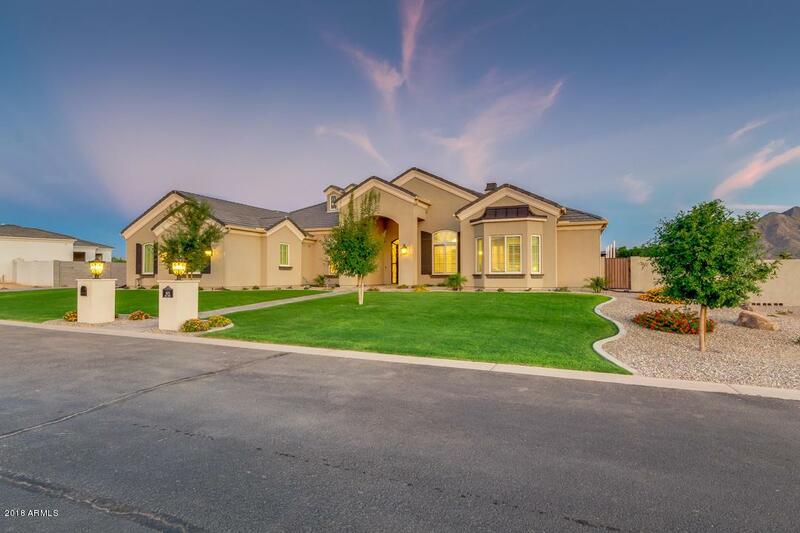 Spectacular interior with formal dining room, cozy fireplace & backyard views in L/R, stunning home theatre, separate game room, den w/ private powder room, and separate guest suite complete with a kitchenette & bath. Chef's kitchen offers SS appliances, quartz counters, large center island w/breakfast bar, tile backsplash, walk-in pantry, and ample cabinetry space. 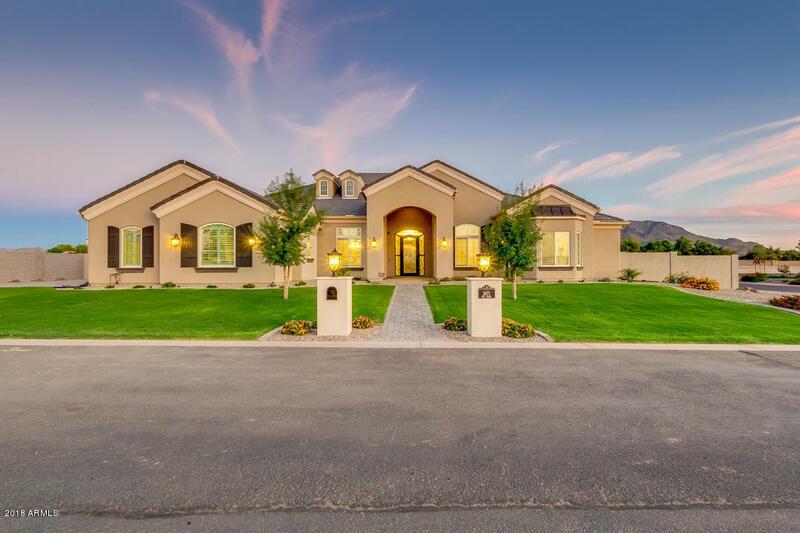 Master retreat includes separate exit, large walk-in closet, and gorgeous bath w/soaking tub, step-in shower, his & her sinks, and makeup vanity. Backyard has an oversized covered patio, built-in BBQ, spa, pool w/grotto & slide, sunken trampoline, and sport court. Must SEE!